Text messages are important data on any phone and losing them would risk serious loss to your work or personal life. Text message may carry important address or work detail that you may not want to lose. However, many times unwanted events can cause loss of the messages. One of the most common is breaking of the phone. 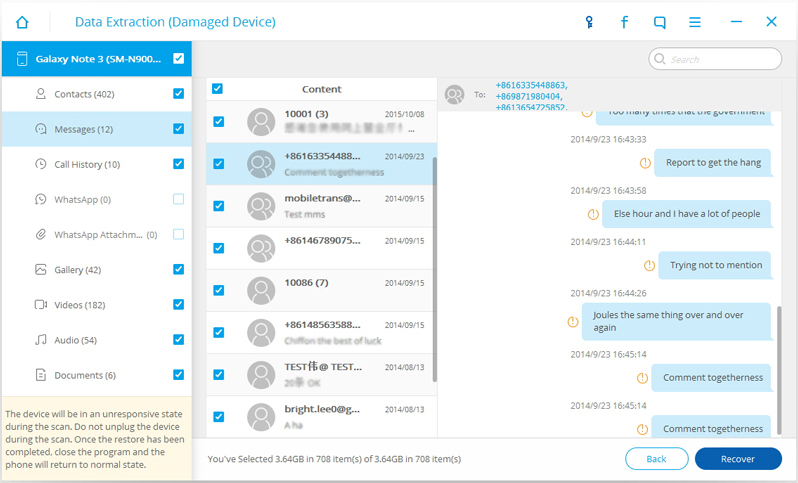 It can happen it physical level or on the software level, in both case you lose your important data or you may even have to change your phone if it is unrepairable. 1. Accidently dropping of the phone is a most common way the phones gets broken. While carrying out certain activities with a phone in hand, you accidently hit something or phone slips from hand is the normal way phones are broken. If damage is not serious, the repair work is easy but in severe cases, replacing phone is the only option. 2.Moisture is an enemy of any electronic equipment. Phone are always exposed to moisture during daily use such as oil, or sweat. Accidently if moisture enters into the hardware of the phone, it can crash the important hardware. Even company warranties do not cover these type of physical damages. 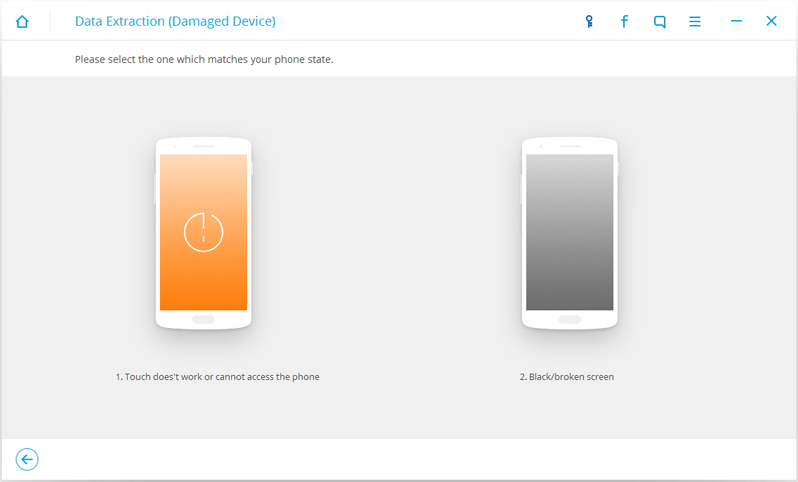 3.Bricking your phone using custom from is another way you can damage your phone. Though the phone is not physically harmed, but there is no way you can run the phone with faulty custom os. Using dr.fone is easy and effectively recovers most of the data in good condition. Moreover, its intuitive interface will guide through with step-by-step process. All you have to do is choose which type of data you want to save, and it will be saved. Once damaged or data is lost, never install new data as it may harm the chances of recovering it. To begin with, install and run the program on your computer, and then the main window will show as follows. 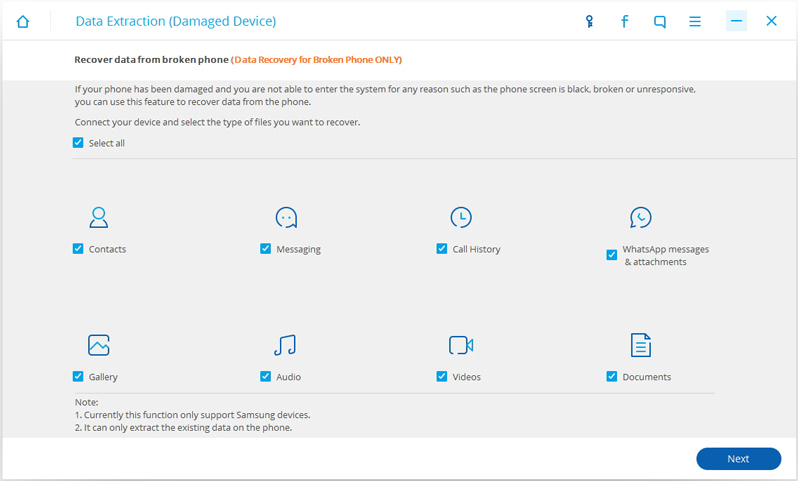 After you launch dr.fone, choose "Android Broken Data Recovery". Then choose the file type "Messages" click on "Start" at the buttom of the program. After you select the file types,you need to choose the fault type of your phone. Choose "Black/broken screen",then it will lead you to the next step. Then you will select the device model of yours Samsung,please make sure choose the right "Device Name" and "Device Model".Then click "Next". 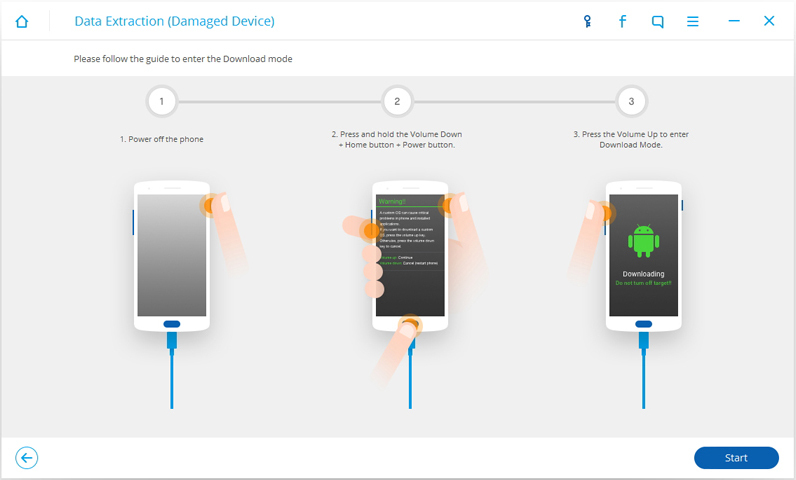 Now, just follow the guide on the program to get the Android phone into the Download Mode. Then please connect your Android phone to the computer. dr.fone will analyze your phone automatically. After the analysis and scanning is completed, dr.fone will display all the file types by categories. Then select the files type "Messaging" to preview. Hit "Recover" to save all the messages data you need. - First, tip for anyone who is looking to repair phone must fix at your own risk. Because you do not have the technical knowledge, you might end up harming your phone. - Make sure you contact the service center first to know the issue. In case it is in the warranty, it is worth trying. - Order for the replacement parts only after you know the exact cause of the problem. It will save money and time. - Get the right tools to repair your phone. Usually, there are specific tools for opening and handling hardware of modern phone. 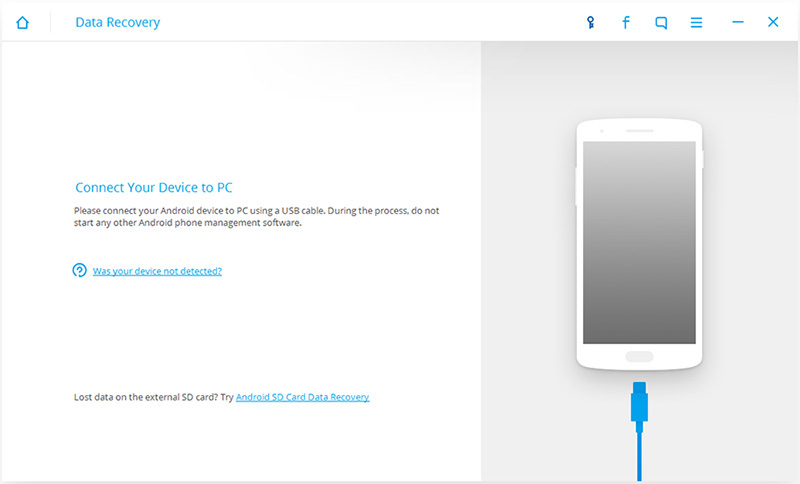 - Get all the necessary software to manage your phone. All simulators, operating system files and many more. Moreover, importantly know how to use them to repair your phone. Learn how to print messages from iPhone by following this comprehensive post. We have listed a stepwise process for printing text messages from iPhone. Read iPhone text messages on a computer? That's no problem! This guide here tells you how to view iPhone text messages on your PC or Mac in minutes. Get to know about some of the best iOS 10 texting effects and be a messaging ninja. Fix iMessage screen effects not working and apply screen effects iOS 10. Love iMessage? Want to experience iMessage for Android? Read this article in full to know how we can get iMessage on Android. Want to extract messages from iPhone to readable file? It’s easy. With this software, you can extract messages on iPhone without a hitch. This article is about the tips for view and restore text messages from iCloud. The following sites are the top 10 free sites where you can receive SMS online without your real phone number. Read this article and you will never have any issues syncing iMessage on your devices.